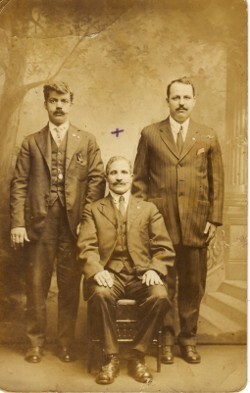 Above: My paternal grandfather, Kostantinos, in the United States(1916). Like so many thousands of Hellenes, he went over for work. He is the fellow with the cross above him. 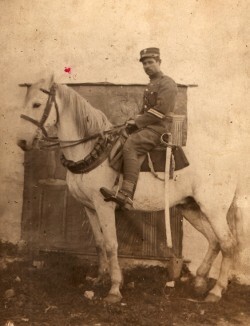 Above Right: My father, Efstratios, in the Cavalry during the Asia Minor Campaign 1919-22. 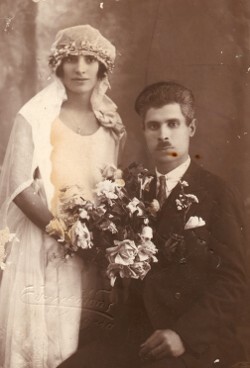 He also fought in the Balkan Wars 1912-13, and was even called up for the Second World War. 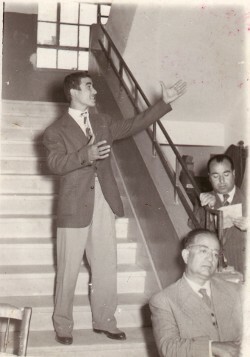 Above: At Plomari’s High School, I am reciting a poem in preparation for Independence Day. 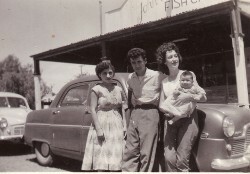 Above: In 1957, I had my own Fish Shop in Wellington, N.S.W. My wife, Georgia is to the right of me outside our shop. 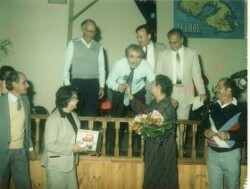 Above Right: Ioannis, as President of Mytilenian Brotherhood of N.S.W ( 1983-85), congratulates winners in the Mothers day function. 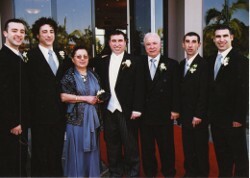 Above: With my wife, Georgia, and our children.